Dark humor in an edgy looking story jammed packed with character actors galore. Why wouldn’t I want to see this film? The movie is about a broken woman whose daughter had been raped and murdered less than a year earlier and the crime is still unsolved. She decides to purchase advertisements on three billboards outside of Ebbing, Missouri, essentially publically calling the police out for not doing their jobs. This gets the attention of the police station and stirs things up around town. The film was written and directed by Martin McDonagh and the noteworthy cast includes Frances Mcdormand, Woody Harrelson, Sam Rockwell, Peter Dinklage, Caleb Landry Jones, Abbie Cornish, Lucas Hedges, Zeljko Ivanek, Christopher Berry, John Hawkes, Clarke Peters, and Darrell Brit-Gibson. The casting is superb. The characters are excellent. Rockwell and Harrelson are likable jerks (as they often are). They play their parts well. Mcdormand steals the show with her best performance in years. The multiple characters stories join together well in a web of darkness. The movie allows its cast to take their time to develop their characters in an overly dysfunctional drama. They really did not disappoint. 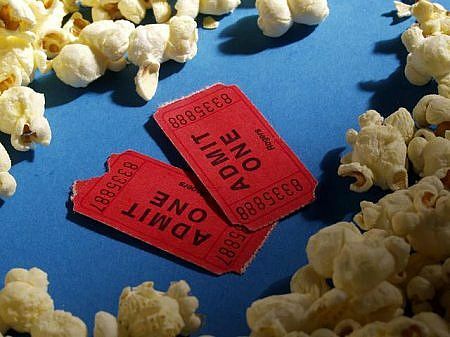 Three Billboards outside Ebbing, Missouri is a blunt force. It has the right amount of dark humor carefully thrown into the mix to break up the brutal honesty of the film. This film is a miserably twisted tale that goes to some dark places. You can really feel the pain and anguish on screen. However, it leaves those places leaving you feeling better about the whole thing afterwards. There is more cussing in this film than I have heard in a newer film for a while. The dialogue and writing are top notch. I enjoyed how the film did not really edit itself. It may not be much for the politically correct crowd. If you cannot handle harsh language, this movie is not for you. Given some of the horrible situations in this film, I feel that the language was justified and also more realistic. It served as another tool to get the point across. The movie pushes the boundaries on what you expect. Lots of surprises keep you guessing throughout. It’s witty and charming, but in a dysfunctional, hellish way. “chick flicks” because well, I’m not a chick. “Chick flicks” are so prevalent in the movie world these days that they are like a cancer that has spread. They are everywhere and their whole existence is killing the industry that they thrive on. 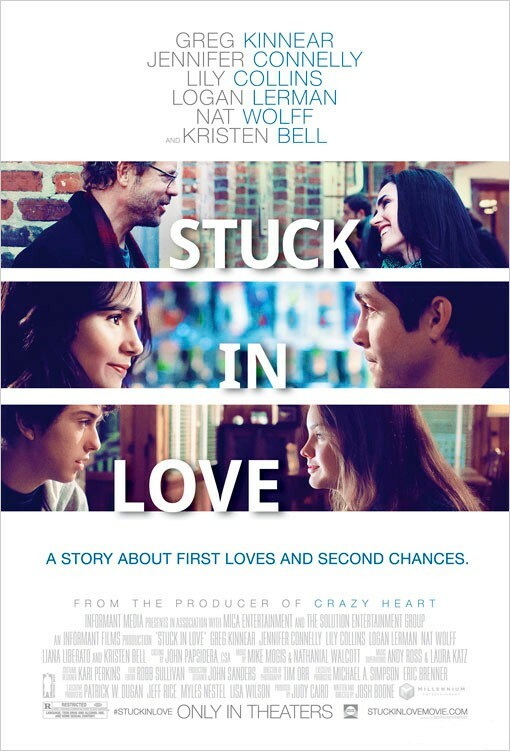 Stuck in Love is a dysfunctional drama about a semi-popular author (Greg Kinnear) who finds himself unable to get over his ex-wife (Jennifer Connelly), even after being divorced for more than 2 years. His son and daughter, who are also writers, are having their own struggles with love. The film was written and directed by Josh Boone and the rest of the noteworthy cast includes Lily Collins, Kristen Bell, Logan Lerman, Nat Wolff, Liana Liberato, Stephen King, and Patrick Schwarzenegger. I have always enjoyed movies about writers, because I have always wanted to be a writer. The movie is only slightly formulaic and just a little bit predictable. It is not like “chick flicks” that are completely predictable because they always follow the same formula. 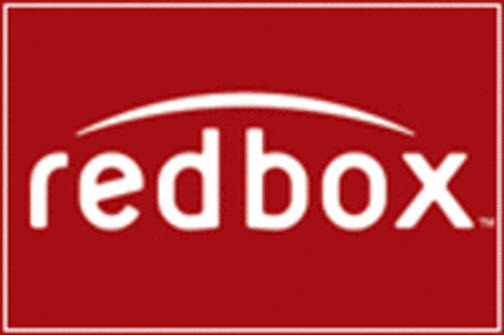 The film is rated-R for language, drug use, sexual situations, and adult drama. The movie is as much a teen drama as it is an adult drama. There is a lot of language in the film, but that has become reality. You would like to think that people don’t always talk that way, but that is how it really is. We are a society that has become de-sensitized and the absence of language in the movie would have made it less realistic and less practical. I was a little surprised when watching this movie because I thought it was going to be more about the parents in the story, rather than the kids. When, in fact, the film was just as much about the adults as it was about the kids. the presence of Kinnear and Connelly help to make Stuck in Love a quirky, heart warming drama worth watching. Once again, my dysfunctional childhood was probably the reason why I was drawn to this movie. Maybe it is just because I can relate to the craziness that is going on in the movie and that is why I like it. Growing up as the youngest in a big family, it’s hard to avoid the drama. Maybe that is why the movie seems more real to me, because dysfunction is more honest than perfection. Madness is more entertaining than predictability. I rate this move a 7.5 on a scale of 1-10. If you liked Stuck in Love, then you may also enjoy The Big Wedding (2013), Crazy, Stupid, Love. 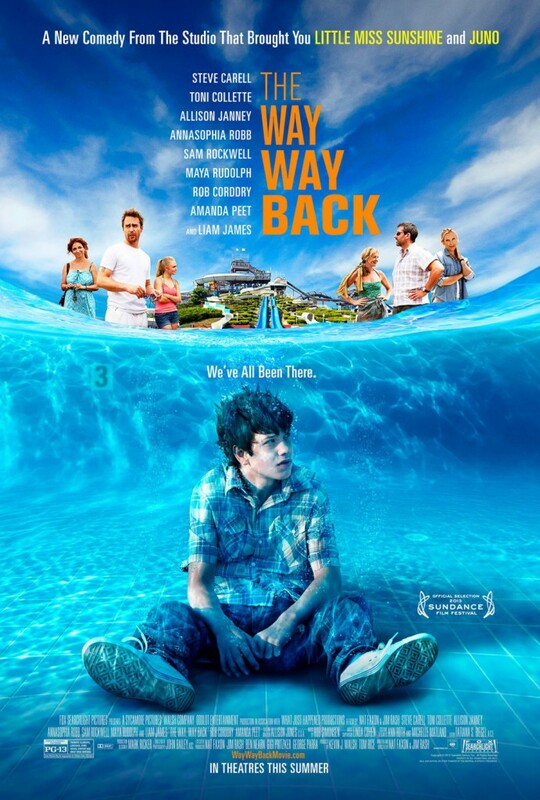 (2011), and The Way, Way Back (2013). 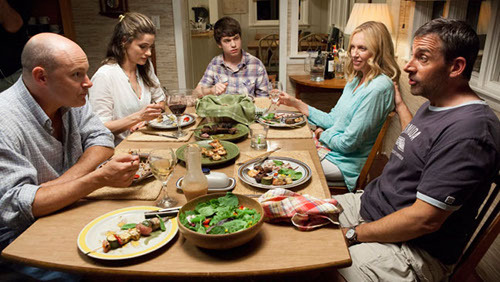 I come from a very dysfunctional family, but I am sure that we all do in one way or another. So maybe that is why I am drawn to dysfunctional movies. The Big Wedding is about a couple that must pretend to be married even though they have been divorced for a very long time. Their adopted son is getting married and the family is reuniting for the wedding, but his birth mother is unaware that his adopted parents were ever separated. The film was directed by Justin Zackham and the noteworthy cast includes Robert De Niro, Diane Keaton, Susan Surandon, Topher Grace, Katherine Heigl, Amanda Seyfried, Ben Barnes, Robin Williams, Christine Ebersole, David Rasche, Patricia Rae, and Ana Ayora. The movie is inappropriate from the very first scene and delightfully dysfunctional throughout. The film revolves more around the families of the groom and bride rather than the groom and bride themselves. That is what the movie actually has going for it because instead of being a sappy love story, it is more about the harsh reality of the lives of the family attending the wedding. It’s very amusing to see acting legends De Niro, Keaton, Surandon, and Williams all in the same film together and all as awesome as ever. There are tons of laughs to be had in this film. From the awkwardness of a divorced couple acting like they are married to the funny insults back and forth between siblings and the jokes that get lost in translation with the adopted kid’s foreign birth family. The humor is raunchy and there is a lot of language. I laughed harder than I thought I would. The Big Wedding was a pleasant surprise. It was hilarious, witty, messed up, heartfelt, and dysfunctional. It was just like family should be, or at least how my family is. The film appears like it could be a chick flick, but don’t be fooled. It was just a pure comedy.